Hans and Paula Diwald grew up in the 1960s, both on a farm. Back then, a farm incorporated everything: crops, livestock and some vineyards, of course. In 1972, they took over the business and restructured it. The animals had to go, but the crops and 4 hectares of vines stayed. Since 1980, Paula and Hans have become true pioneers by endeavouring something unthinkable and completely unusual for that time: converting to organic farming practices. In those days, this choice could be compared to leaving the church, and one village inhabitant even speculated: “I’m sure this has something to do with communism.”! Back then there was no official certification yet, only a handful of kindred spirits who were also taking this new path. Paula and Hans used to be on the receiving end of condescending smiles, but today they are considered among the pioneers of a whole movement, and enjoy world-wide respect. The winegrowing side of the Diwald Estate expanded steadily: the first exports to Germany began, and more and more crops were replaced by vineyards. Today, Paula Diwald is the kind soul of the household and a passionate farmer. Hans does what he has always enjoyed doing: driving the tractor. The 4 ha of vineyard became 20 ha, and the initial exports to Germany have expanded to 18 countries on 3 continents. In 2006, young Martin Diwald joined the business. After studying at the renowned Institute of Viticulture and Pomology in Klosterneuburg, he was pushed straight into the deep end: his first own harvest. It is true that Daddy Hans was always looking over his shoulder, but Martin was allowed to experiment and make mistakes. For example, his “experiments” included spontaneous fermentation, which was so successful that already in his second year all the wines were fermented in this way. This is how, within a short period of time, Martin managed to develop a wine style which he found simply perfect: wines that are lean, elegant and cheeky, but also offer depth and body. Quality comes from the vineyard, there is no doubt about it. When you grow up on an organic wine farm, you simply don’t know any other way. There is nothing that can be improved in the cellar, quality can only be retained. Individual wines are the aim. Wines that sing and don’t “croak”. Wine must be fun, it must always offer something new and it must tempt you to have another sip. And when the bottle is suddenly empty, then you know it’s perfect! Food goes hand-in-hand with wine, but the wine must not elbow its way to centre stage, but should remain nobly in the background. Ideally, they should both enhance each other, whether it be white, red, rosé, orange or cloudy wine. Martin is constantly working on refining the wine’s character: no excessive technology, no magic, but rather spontaneous fermentation, a little bentonite and sulphur for preservation purposes, and that’s it. 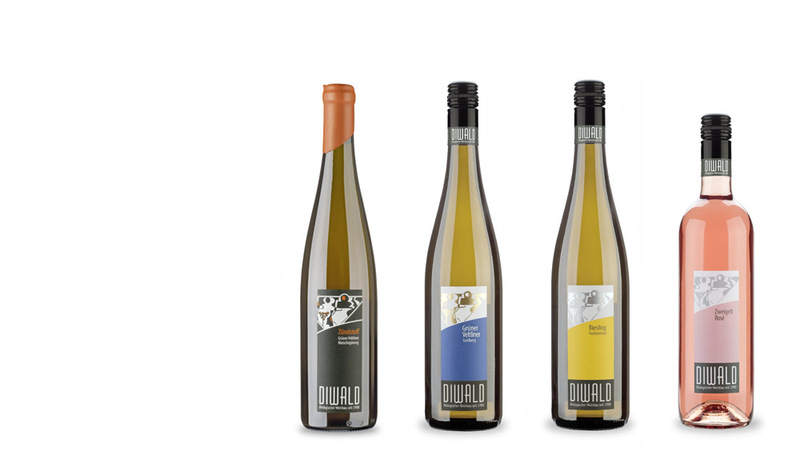 Of course all the various Grüner Veltliners and Rieslings dominate the grape variety spectrum, but also the Frühroter Veltliner, Chardonnay and the red wines such as the Zweigelt and the Cabernet blend must always express the style of the house: elegance, drinking pleasure and beautiful acidity.